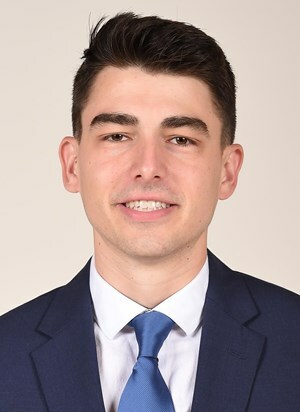 John Papale is currently a the Director of Men’s Basketball Operations at Boston University. He is coming off a decorated career as the captain of the men’s basketball team at his alma mater Boston University. John has spent his last two summers interning for Engel & Schultz, LLP. John has volunteered and participated in numerous Heart Walks and other fundraising functions to support heart health in both Connecticut and Boston. John has also been behind his family while their mission to bring safety and awareness to sudden cardiac arrest and HCM has grown over the years. During John’s career at Boston University he has been a four-year starter as well as two-year captain. He has also graduated from the school’s Emerging and Veteran’s Leadership Academies, and is currently a member of the Legacy Leadership Program. John earned his B.A. in international relations with a concentration in international business, economics and politics.